Philippe Coutinho will be a Barcelona player in the next few days. According to a report from Marcelo Bechler, the same Brazilian journalist who broke the news that Neymar would join Paris Saint-Germain, the Liverpool midfielder will arrive in Catalonia to sign his Barça contract in the next few days. Barça have chased Coutinho since the start of the transfer window, and after having two bids rejected in July, the club made an improved offer on Tuesday. Rumors suggest that improved offer is around 120 million euros, and if Bechler is right, Liverpool have accepted the bid and we should expect an announcement soon. Again, we don’t have an official word from Barça about this yet, but Marcelo Bechler just got the biggest transfer in history right. 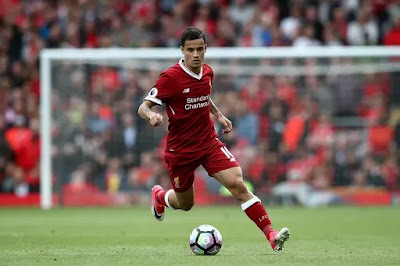 He’s certainly got the credit now, and we must believe him when he says Coutinho is coming to the Blaugrana. Let’s see what happens next.